26 MARCH 2019: After a knock-out reaction to last year’s programming, Rewind is rolling out their biggest comedy line-up yet with some of the best-loved names in the game, who will all be performing at the festival for the first time. These giants in stand-up are sure to make the Forever Stage an unmissable destination, complementing the world class artists on the main stage like Bryan Ferry, Foreigner, Michael Bolton, Four Tops, Thin Lizzy and Gloria Gaynor. A regular at The Edinburgh Festival Fringe, Phill Jupitus, will be headlining Rewind Scotland’s comedy roster on Saturday 20 July. The stand-up comedian and performance poet known for his alter ego Porky The Poet, Phill started his performing career in 1984 supporting Billy Bragg, The Style Council and The Housemartins. Aside from his long-running role as team captain on BBC Two’s pop quiz Never Mind The Buzzcocks, Phill has also appeared on 8 Out of Ten Cats, Would I Lie to You and Pointless Celebrities. He returned to live stand-up comedy in 2017 with tours around the Highlands and Islands of Scotland, Europe, as well as Australia and New Zealand. Joining Phill is Emmanuel Sonubi. The North London comic may have only been on the circuit for what feels like five minutes but he’s already gaining quite a reputation for himself as one to watch out for. Hailed by Russell Kane as “a new talent at the door of stand-up…and he’s definitely coming in”, Emmanuel is sure to win some new fans at Rewind as he takes the Forever Stage on both Saturday and Sunday. Perth-born Fred MacAulay will no doubt be a crowd favourite at Scone Palace. Having presented the very funny and eventful MacAulay and Co. on BBC Radio Scotland for almost 18 years and with a string of TV appearances under his belt, Fred’s on-air witticisms and on-screen reputation are the product of years of experience in the live circuit – including a stint as the first ever Scottish compere at the Comedy Store in London. Jimeoin, hailed as one of the hottest comics of his generation, headlines Rewind Scotland’s comedy line up on Sunday 21 July. The English-born stand-up comedian and actor made his debut at the Edinburgh Festival Fringe in 1993 and since then has gained a huge international following having performed at some of the world’s biggest arts festivals. Dubbed ‘the future of Scottish comedy’, Christopher Macarthur Boyd will also be taking the Forever Stage. The Glaswegian is a three-time Scottish Comedian of The Year finalist and has performed internationally everywhere from Canada to Australia. Christopher brought his debut show ‘Home Sweet Home’ to the Edinburgh Fringe last year to great acclaim. Russell Kane is headlining Rewind North’s killer comedy line up. The multi-award winning comedian, author and actor, known for his critically-acclaimed sold out shows around the world, will be hitting the Forever Stage on Saturday 3 August. Russell was nominated four times for prestigious Edinburgh Comedy Awards before winning Best Show in 2010. He then went onto make history as the first comedian to win both the Edinburgh Award and Melbourne Comedy Festival’s Barry Award in one year. Joining Russell is in-demand stand-up comic Justin Moorhouse, whose cheeky and irreverent style has made him a big hit with audiences all over the UK and internationally. Justin’s television appearances include Live At The Apollo, 8 Out of 10 Cats, Alan Davies: As Yet Untitled and Peter Kay’s Phoenix Nights. Andre Vincent is opening the comedy festivities at Rewind North – sure to set the tone for a big weekend of laughs and great entertainment all around. Andre is best loved for his situational comedy, often musing about health matters including his experiences with diabetes, cancer and kidney surgery. His television appearances include ‘Andre Vincent – Hurrah for Cancer’ on BBC3, The Late Edition on BBC4 and Big City on Central. 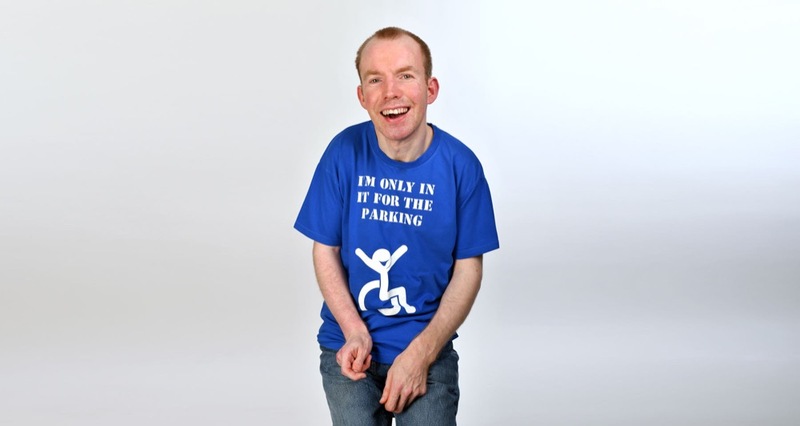 Lost Voice Guy (aka Lee Ridley) may not be able to talk but he definitely has something to say and his comedy will leave audiences speechless as he headlines Rewind North’s comedy line up on Sunday 4 August. The Newcastle funny man won the BBC New Comedy Award in 2014 before going on to take the crown on Britain’s Got Talent last year, endearing him to millions of new fans. He is currently playing sold-out shows on a nationwide tour. He brought his talents to a bigger stage across the Atlantic earlier this year after appearing on America’s Got Talent: The Champions. Also joining Lost Voice Guy on the final night of Rewind North is Andre Vincent and Justin Moorhouse. Following his highly memorable performance on ITV’s I’m A Celebrity… Get Me Out of Here in 2017, Joel Dommett is hotter than ever. The affable comedian will be headlining Rewind South’s comedy line up on Saturday 17 August. Adding to his increasing array of television credits, Joel has also co-starred in the hugely successful Impractical Jokers on BBC3 as well as Comedy Central’s Joel and Nish vs The World. This year, alongside touring his live show, Joel released his first book ‘It’s Not Me, It’s Them’. The Raymond and Mr Timpkins Revue is sure to add a dash of out-of-the-box entertainment to the night. 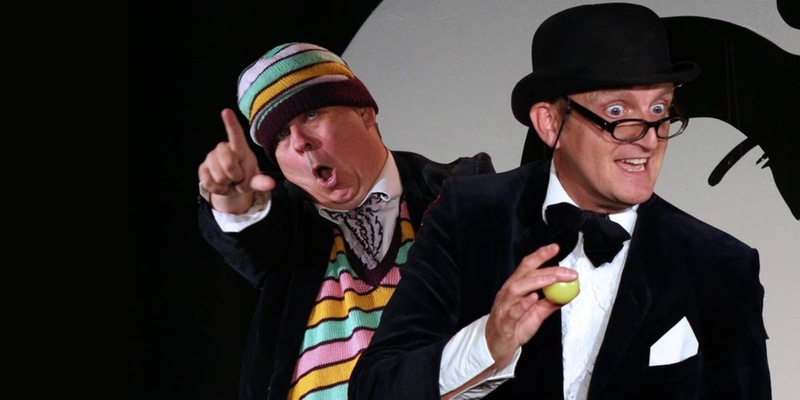 Expect the unexpected when the super silly and unsavoury twosome hit the Forever Stage in a blast of music and lightning fast choreography. Joining this memorable night of comedy at Rewind South is multi-award winning film actor and respected stand-up comic Dave Johns. Dave is best known for playing the lead role in Ken Loach’s Palme D’or-winning feature film I, Daniel Blake, for which he won the 2016 BIFA for Best Actor. As a comedian, Dave has appeared on 8 Out of 10 Cats, Never Mind The Buzzcocks and Pointless Celebrities. The sharply dressed, well-spoken and disparagingly camp son of working class Bromley, Tom Allen, is headlining Rewind South’s Sunday comedy roster. Best known for his sharp, acerbic wit and riotous storytelling, Tom has performed at sold-out shows all over the world. In the past year, he starred in BBC One’s Wedding Day Winners, Ready or Not, BBC Two’s Mock of The Week, Live at The Apollo, Extra Slice, 8 Out of 10 Cats Does Countdown and Comedy Central’s Roast Battle to name a few. Also joining Tom on the final night of this year’s Rewind Festival is The Raymond and Mr Timpkins Revue and Angela Barnes, whose witty worldview has catapulted her onto numerous radio and television shows including appearances on Mock of The Week and Live At The Apollo. She took the crown at the 2011 BBC New Comedy Award and was praised by Evening Standard as “the best mainstream female comedian since Sarah Millican”. This year, organisers promise to take Rewind to new heights with a jam-packed programme of comedy, cinema and interactive fun to thrill their audiences up and down the country. Stay tuned for more additions! For more information – visit rewindfestival.com. Read up on the latest news, delicious eats, travel treats and seasonal style trends in FEATURES, or browse a curated selection of our FEATURED PRODUCTS, meander through our guide to the finest things to do in Cheshire and beyond in WHATS ON or partake in our COMPETITIONS. We are the definitive guide to luxury lifestyle in the North West. Latest news, delicious eats, travel treats and seasonal style trends. The Cheshire Magazine is the largest luxury lifestyle title for the North West of England, dropping directly through the letterboxes of VIP subscribers from the Wirral to Greater Manchester plus all the villages and towns in between and digitally available as a subscription in print and digital on issuu.com worldwide. We specialise in connecting luxury brands to likeminded consumers. If you are interested on how you can partner with The CHESHIRE Magazine, read more about us. Or get in touch to find out more about marketing, featuring or partnering with the Cheshire Magazine in print or online.